The book’s mode of organization is characterized by collage, juxtaposing different orders of historiographic evidence. Pictures, personal memoirs, government reports, letters, advertisements, and maps, interplay creating different constructs for interpretation. 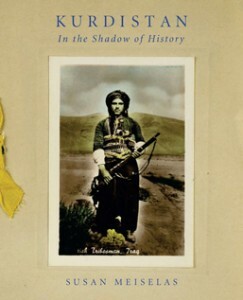 The reader discovers the voices of the Kurds that contest Western representations of them.